It is annoying to see many network cables messing inside a sever rack. These cables not only give you an unaesthetic feeling but also obstruct the airflow between each other, making the whole network maintenance more complicated. Therefore, it is necessary to take cable management as a priority in server rack. Next, several cable management tips are given for better experience! 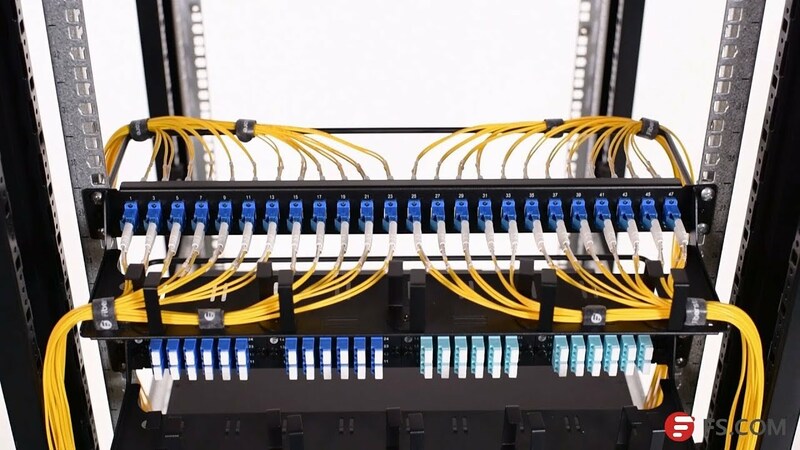 Patch panels can provide space-saving, high-density cable connections. 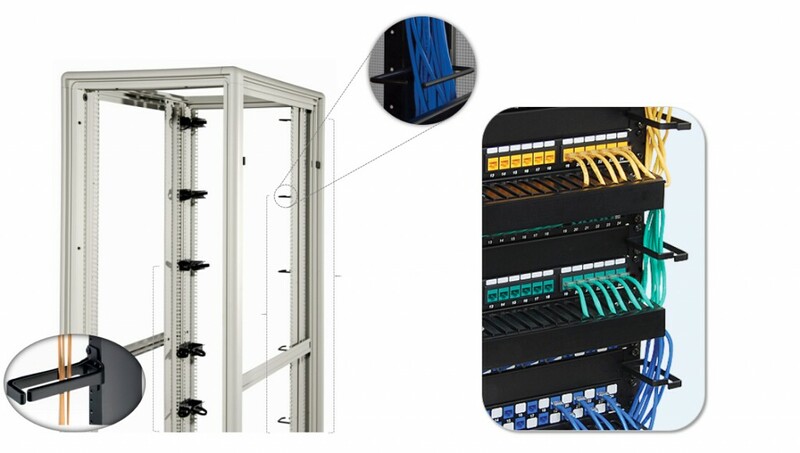 It is very convenient to use a fiber patch panel and a horizontal cable manager with D-rings together in a server rack. The combination of these two products offers a flexible and tidy way to manage fiber optic cables in server rack. Rack mount fiber enclosure can also hold different types of MTP/MPO cassettes such as MTP-8, MTP-12, MTP-24, etc. 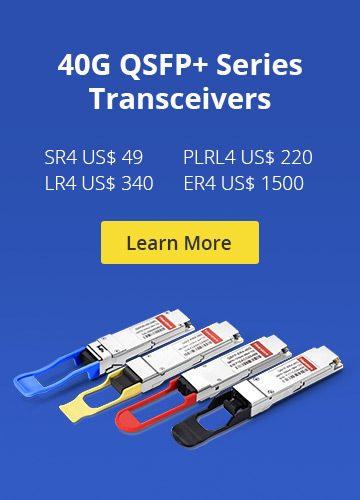 It offers the interface between the MTP connector on the trunk and the LC duplex jumpers aiming to get quick connection of the applications from data center. This kind of combination is generally adopted in 10G to 40G or 25G to 100G applications. This is the most commonly seen combination in server rack cable management. Situations like this always use horizontal cable manager to arrange small bundles of Ethernet patch cables. 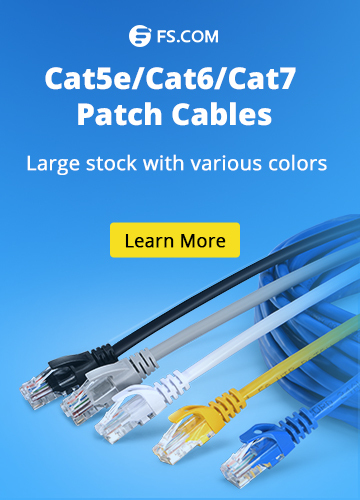 Therefore, as the carrier of copper patch cables like Cat5e, Cat6 or Cat6a, Ethernet patch panel is an incontrovertible choice. The combinations above is good for tidy cable connection and space saving cable management in server rack while the independent use of D-rings in also a vital part. It can organize the long-length cables which are stretched out from all the servers with ease, which can easily be seen from the picture below. Actually, in addition to the four rack cable management tips above, labeling each cable is an assistant but necessary step. If the cables are labeled, then it will be convenient for the replacement of certain cables damaged or outdated in the future. Having a good label printer in the data center or computer closet is absolutely essential to ensure good rack cable management. All you need is to print off every two pieces of small labels in pairs. To ensure the quick positioning of each cable, you can label the cable on both ends with the same symbol. As you can see, there are many tips for server rack cable management. These solutions are very practical either involved with different combinations of various products such as fiber patch panel, rack mount enclosure, Ethernet patch panel, horizontal or vertical cable managers, etc., or concerned with overall considerations like cable labeling. Once these solutions are applied to a server rack, the cables inside will remain clean and easy to manage for years to come. Cables Management Ethernet patch panel, fiber patch panel, server rack, server rack cable management. permalink.